Offering you a complete choice of products which include ultrasound lipolysis rf cavitation slimming machine, ultrasonic cavitation machine and electronic muscle stimulator (ems). 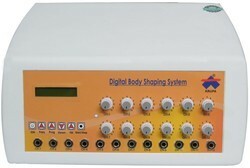 We are leading manufacturer of Slimming machine in Gujarat. 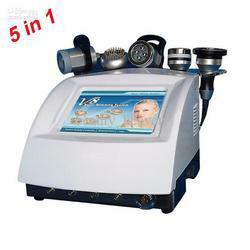 We are manufacturer of Ultrasonic Cavitation Machine. One of the popular equipment used in various Places. 12 Channel Body Shaper Slimming Machine provides a toner look to the body and can be used for both men and women. It is a versatile appliance that enables you to perform a number of different treatments. It has 12 electronically separated outlets through which you can connect up to 24 pads to be applied for total or local treatment. 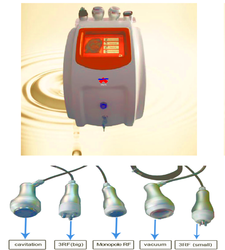 The diversity of techniques like, individually variable frequencies and individual intensity controls, allows numerous combination for any type of treatment. This machine is transformer based circuit thus can be used for professional usage.